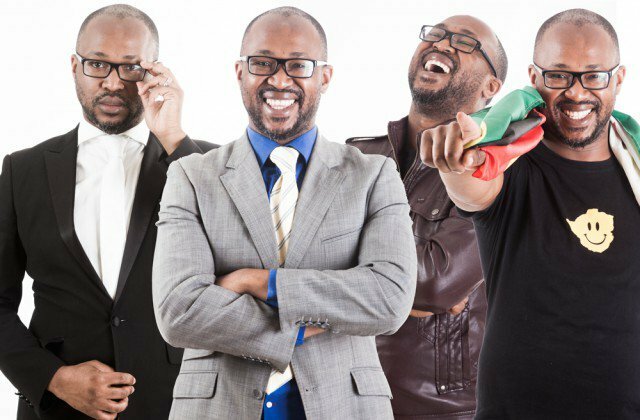 ZIMBABWE's biggest comedian Carl Joshua Ncube, who was recently profiled by CNN through its African Voices programme, will have his interview featured on the news channel this weekend. The CNN crew was in Zimbabwe during the Harare International Festival of the Arts last month and shadowed Ncube who was organising a comedy festival there. The first episode was screened yesterday with six repeats over five days, the last of which is on Tuesday next week at 5.30AM. Today, people can watch the programme at 2:30PM on DStv channel 401. Tomorrow, they can watch at 12:30PM or 7:30PM. Ncube said he envisioned the show as another opportunity to market Zimbabwe and focus on the goodness of the country. "This platform gave me a great opportunity to talk about the beauty of Zimbabwe as a lot of focus in the past has been on the politics of the country. I felt the need when they were filming me, to talk about other things that the country has to offer. "So, if as a country we're serious concerning us re-engaging the world, we have to focus on the positive things that bring money to the country. As such, I talked about the beautiful Zambezi, our delicious food and good jokes," said Ncube who is now the general manager at a top restaurant in Victoria Falls - the Zambezi House. The multi-award-winning comedian, during the filming of the CNN footage, took the crew around the country in order for them to have a full on experience. "They took a lot of footage during Hifa and then they travelled with me to Victoria Falls and did the same. In the resort town, I showed them the beauty of the Zambezi River and the various activities there. "So, exciting times lie ahead for Zimbabwe and the industry," said Ncube. African Voices highlights the continent's most dazzling trendsetters who create their own subcultures in areas such as travel, fashion, art, music, technology and architecture.